Kitchen Cabinets and More is the successful joining of CKJR Construction & Wayland Lewis. The CKJR Construction firm, Jim Johnson and Chris Hope have over 30 years experience building custom homes. Taylor Woodworks is a small cabinet shop located in Magnolia Delaware. 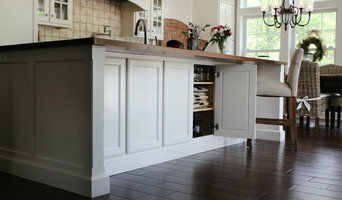 We build custom Cabinets, Furniture and Millwork. Every project is truly custom from concept and design to the handcrafted details. Our kitchens and wall units stand out because we use our knowledge of furniture design. Putting furniture elements in our cabinetry such as decorative feet and moldings. Taylor Woodworks takes pride in every project that we build. Special attention is given to the selection of wood, finishes, joinery, and design. A reverence for wood is apparent in our work. Every board is meticulously matched for figure and grain. Our timeless designs and quality will provide heirlooms for many generations to come. Let Taylor Woodworks transform your kitchen into a masterpiece. Give us a call at (302) 745-2049 or click the "Contact Me" button to send us a message. We look forward to working with you! Martin & Calloway LLC is a custom woodworking shop specializing in custom cabinetry, cabinet re-facing, interior trim and doors, and furniture/cabinet repair. Having a combined 45-plus years in the custom carpentry and home repair business, owners Mike Martin and Gary Calloway bring their experience, integrity and ingenuity to every project. Having truly built Martin & Calloway from the ground up, Mike and Gary have successfully helped hundreds of families, churches, business owners and investors throughout northern Delaware lift their properties to a new level. We do only quality work, and work only with quality people — from the guys on our crew, to our suppliers and subcontractors. Our customers know we will be there for them, not just from the beginning to the end of a job, but for the long haul. We stand behind every job we do, and we continue to grow by keeping our standards the highest in the business. Whether you're considering built-in cabinets for your home office, upgrading your interior trim and doors, or have a piece of furniture in need of repair, Martin & Calloway will be there from start to finish to help achieve your functional, aesthetic and budgetary goals. George “Skip” Smith is the founder. Skip’s Father and Grandfather were custom builders and cabinet makers in South Jersey dating back to the 1930s. Skip developed his trade working with his father George and Saber’s Kitchens of Atlantic City. In 1976 he opened Skip’s Designs which later became Kitchen Encounters in 1980. We have been Kitchen Encounters for 35 years. We still embrace the traditional trade of cabinet design, along with the technological advancements and modern trends of today. We specialize in space planning, design and cabinet sales for kitchens, bathrooms and any room of the home. We still incorporate the old school way of measuring 3 times and cutting once. We are authorized dealers for Plain and Fancy Cabinetry, Luxor Collection, and Homecrest Cabinetry. We are located in Somers Point NJ, right across the bridge from Ocean City NJ. We sell to homeowners and builders alike all along the jersey shore. We service Margate, Longport, and Ventnor on Absecon Island. We travel to Long Beach Island frequently. We work for some of the largest custom home builders in Avalon, Stone Harbor and Sea Isle. We have had customers from Philadelphia and the Mainline design their summer homes, and then ask us to design their primary residence as well. We have traveled to Cape May to design kitchens, and as far away as Florida and Colorado. No Job is too big or too small. Call us today! *Authorized UltraCraft Cabinetry Dealer* Taylor Made Cabinets is a family-owned and -operated business with over 30 years' experience that provides South Jersey with stellar remodeling options, personalized service, and fully-customized projects finished to your exact standards! Residential and commercial service is available for projects large and small! "Imagination Furniture" has no show rooms, no catalogs. They simply, as their name implies, deliver custom built pieces inspired by their customers imagination! The tag line on Imagination Furniture's logo says it all: "You Imagine It - We Create It". "Imagination Furniture" uses only real wood and manufactures all products in their own shop, never importing any materials from overseas. Each piece is meticulously crafted and finished in Dagsboro, Delaware. "Imagination Furniture" is proud to proclaim that everything they create is " Made at the Shore - Not Offshore". No project is ever too small, or too large. "Imagination Furniture" even repairs antiques. J. Dougherty & Son / JDS Supply is family-owned and operated by husband and wife team, David and Nancy Dougherty. We specialize in custom kitchens and bathrooms, cabinetry and counter tops. JDS truly has the products and technologies along with the ability to design the perfect kitchen for our customers. 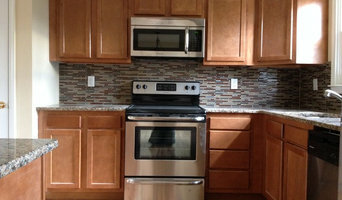 We also have the ability to provide countertops and cabinets to the professional builder or remodeler. JDS is comfortable working turn key with our customers or providing design help to an architect. Our fabrication specializes in custom, one-of-a-kind counter tops. Our cabinet line includes only all wood cabinetry with dove tail drawers, full extension drawers with soft close technology and our door hardware also uses soft close technology. Give Dave and Nancy a call and see how they can help you on your home or next project. Handmade Furniture has been providing kitchen & bath design-build services for custom cabinetry, millwork and furniture for over 35 years. Our work ranges from American traditional to French country to modern, contemporary designs, in a variety of finishes and materials including painted, wood and laminate. Our clients include design professionals as well as end users such as homeowners, contractors and commercial business owners. We will work with you or your design professional to create pieces combining the best of form and function to meet your needs. You can visit us at our shop and showroom in West Creek or see our creations on display at the Island Home Showroom in Avalon. Feel free to reach out to us, we would love to hear from you! 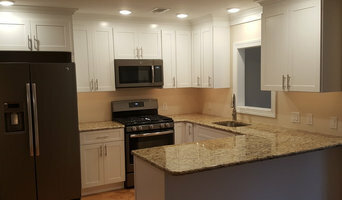 Welcome to Kitchen Provider Inc, the leading contractor for kitchen remodeling, bathroom renovation, and total home makeovers in Delaware and the surrounding areas. We can provide you with award winning kitchen design and bathroom design along with our construction expertise to convert your ideas into the home remodel of your dreams. Let us offer you our professional advice and expert execution for all of your home remodel needs. Not only will Kitchen Provider Inc build you the kitchen of your dreams, we will do it for a price that you cannot believe. Take a look at our extensive selection of styles all for 30% to 40% off retail price and decide for yourself. Over 60 styles and 60 finishes to choose from, we offer custom size, high quality, and very competitive prices. All with a FREE layout and estimate. We also offer a special repeat sale discount for not only contractors but everyone out there. Remember that before you buy, talk to Kitchen Provider Inc in Wilmington. Give us a call, we'll do our thing to make your kitchen dreams come true. Atlantic Millwork and Cabinetry is a family owned small business, specializing in windows, doors, cabinetry, decking, millwork products and more. We have been Delmarva's premier building supplier for over 25 years. Our experienced sales staff and design teams are dedicated to providing excellent service and expert advice. When we say, "We Service What We Sell" we mean our in house technicians and delivery service will make sure you enjoy a wonderful buying experience from start to finish. For over 40 years, Cabinetry Unlimited has taken customer service to a new level. As the leading experts in custom cabinetry throughout the Delmarva region, we know that for homeowners, customizing your kitchen and bathroom is no simple task. Whether you need just the essential tools or the entire project done, we are here to aid you through each stage of the cabinetry process. We are of the mind that customer satisfaction is borne of fine workmanship, extensive knowledge of craft and attention to detail. That a product custom-created to an individual request is nurtured in the hands of those who have spent their lives refining their skill. Ours is a time-honored way of doing things. Our professional craftsmen come from serious custom cabinetry backgrounds, collectively spanning decades of custom woodworking experience. Yet we embrace the technological advances computer-aided design and 3D layout capabilities provide. From custom architectural millwork to retail displays, from residential libraries to commercial office spaces, from kitchen cabinetry to fireplace surrounds, the pride of our labor is evidenced in homes and businesses throughout the Mid-Atlantic region. We specialize in custom cabinetry. From the drawing board to the completed installation, we make your dreams a reality. With over 20 years experience our team designs, manufactures and installs custom products. From kitchens and bathrooms to entertainment centers and home offices our cabinetry brings beauty, functionality and utility to any room. We also specialize in closet systems that can make the most of your storage spaces. Whether it be contemporary, elegant, eclectic or inspired we can turn your ideas into woodwork. Our priority is quality cabinetry at an affordable price. When you think about cabinets, your mind probably goes straight to kitchens and bathrooms. 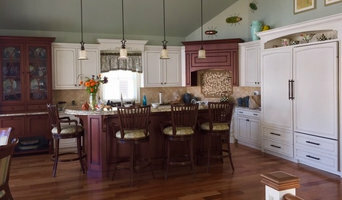 But Stone Harbor cabinetry professionals’ abilities extend far beyond those obvious spaces. If you need built-in storage, shelving or custom case goods, no matter what the room or purpose, cabinetry experts can help. Their focus on details and space-planning skills can help you squeeze functionality from even the tiniest corners of your Stone Harbor, NJ home. Cabinetry professionals design, construct, refinish and repair banks of conventional cabinets, but they also create customized storage and shelving for home offices, playrooms, bedrooms, media rooms and other spaces. They’re in the know about New Jersey design trends and different cabinet styles, as well as the latest in special inserts and other options that boost functionality. Cabinetry professionals also can craft furniture to your specifications, such as a corner cabinet for a kitchen or a dining room hutch. In addition, Stone Harbor, NJ cabinetry pros can help you give worn or dated cabinets a makeover. They can replace doors; add glass inserts, decorative moldings and other details; or give cabinetry a new coat of paint or specialty finish. Your cabinetry professional might work closely with a New Jersey kitchen designer, builder, remodeling contractor or interior designer. Here are some related professionals and vendors to complement the work of cabinets & cabinetry: Kitchen & Bath Designers, Kitchen & Bath Remodelers, Interior Designers & Decorators, Closet Designers and Professional Organizers, Woodworkers & Carpenters. Find a cabinetry professional on Houzz. Narrow your search in the Professionals section of the website to Stone Harbor, NJ cabinets and cabinetry. You may also look through New Jersey photos to find examples of cabinets that you like, then contact the cabinetry professional who worked on them.